Patient transitions have become fragmented. Two critical times to assure that transition becomes less disjointed are admission and discharge. The operating room taught us much about eliminating untoward outcomes by taking time to completely stop any intervention and focus entirely on the patient and the procedure at hand. The simple step of stopping and reviewing has decreased negative quality events and their impacts on patients. This same practice of a time out can be completed at both admission and discharge with the case managers and other members of the interdisciplinary team to improve outcomes. This webinar will explain how to put into practice this simple but necessary step to improve your admission and discharge processes. Give your teams a time out! Sign up for this critical webinar today! Review the detailed agenda below and reserve your team a space today! Call us at 800-688-2421 or add this event to your cart above and checkout online. Develop effective admission and discharge time out processes. Explain the impact of case managers and social workers in an effective admission and discharge time out. Evaluate case management protocols and penalties. Case Managers (all levels), Managers/Directors/VPs of Nursing, Patient Care, Quality, Finance and Operations, Physician Advisors, Social Workers, CXOs and anyone else interested in case management education. 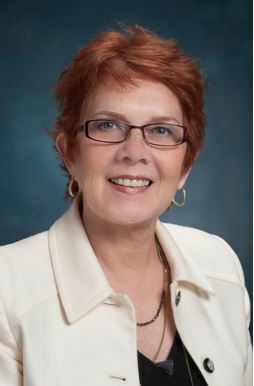 Toni Cesta, PhD, RN, FAAN is a founding partner of Case Management Concepts, LLC, a consulting company that assists institutions in designing, implementing and evaluating Case Management models, new documentation systems, and other strategies for improving care and reducing cost. Dr. Cesta is the author of eight books, a frequently sought-after speaker, lecturer and consultant and is considered one of the primary thought leaders in the field of Case Management. Dr. Cesta also writes a monthly column called “Case Management Insider” in AHC Media’s Hospital Case Management newsletter in which she shares insights and information on current issues and trends in Case Management. Dr. Cesta has presented topics on Case Management at national and international conferences and workshops. She has published extensively including the fourth edition of her book, “Nursing Case Management: From Essentials to Advanced Practice Applications,” the second edition of “The Case Manager’s Survival Guide: Winning Strategies for Clinical Practice“ which won the AJN Book of the Year award, “Survival Strategies for Nurses in Managed Care” and her newest book: “Core Skills for Hospital Case Managers”. Beverly Cunningham, MS, RN is a founding partner of Case Management Concepts, LLC. She has a 25-year deep working knowledge of case management with specific expertise in denials management, patient flow and the role of the Case Manager and Social Worker in the Case Management process. She has served as a Commissioner on the Commission for Case Management Certification and is a fellow with the Advisory Board. Bev is also former Vice President Resource Management at Medical City Dallas Hospital where she had responsibility for Case Management, Health Information Management, Patient Access, Physician Integration and Solid Organ Transplant. Prior to her position as Vice President, Bev served as Regional Director of Clinical Effectiveness for Mercy Health Partners, Toledo, Ohio. In this role she directed the Case Management, Quality Management, and Pre-Authorization Departments. She also served eight years as a consultant, assisting hospitals in implementing, evaluating and improving their Case Management programs. As a Clinical Assistant Professor for the Master of Nursing Program at the University of Oklahoma, she coached students in their clinical practicums. Bev continues to mentor students in a Master’s of Healthcare Administration program. 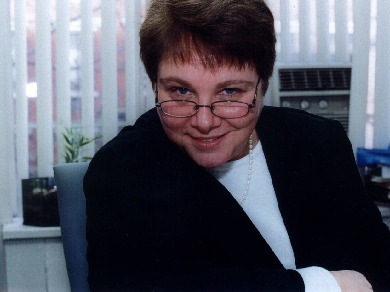 Bev is a well-known speaker in the Case Management field. Her publications include a chapter CMSA's Core Curriculum for Case Management Certification and most recently, co-author of the book, Core Skills for Hospital Case Management. Bev has a BSN from Pittsburg State University, Pittsburg, Kansas and a Master of Science, Nursing Major, from the University of Oklahoma.